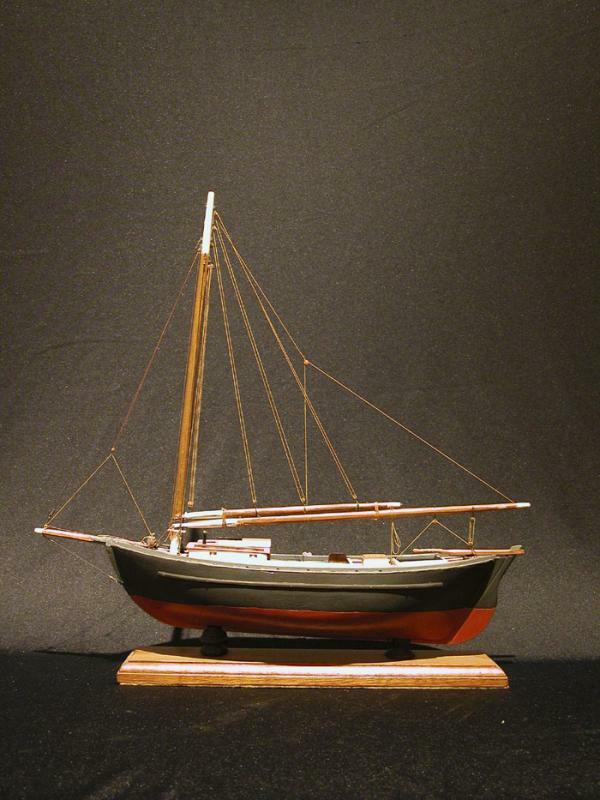 Model of an Eastport pinky sloop, used both for fishing and as a carry-away boat to bring herring from weirs to sardine plants in the Eastport area. Also called a Quoddy Boat. A pinky is a double-ender, taking its name from the "pinked" or pinched in stern. Schooners traditionally had bulwarks ( the sides above the deck) carried up past the rudder to form a tombstone where the main boom could be stored.